Protect your home, family and pets from flea, tick and fire ant infestations with our Pet Lovers’ Special. For more details Contact your SPC representative today! Are Fleas, Ticks, and Fire Ants eating away at your adored furry friend? Don’t let these pesky critters aggravate your pet and spread throughout your home. Call the professionals at Southern Pest Control to remove the fire ants, ticks, and fleas from your yard and home with our effective and proven methods. Nothing is worse than watching your pet scratch at that persistent itch without being able to help! 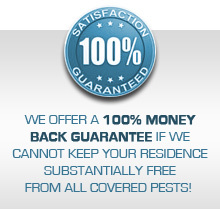 Southern Pest Control offers a “Pet Lovers Service” to stop the bothersome pests in their tracks. And don’t forget, for your convenience, we schedule Exact Time appointments. Clear all floor surfaces of loose items such as magazines, toys and other small articles. Pick up articles on closet floors as well as under beds and furniture. On the day of the treatment, vacuum carpets, rugs, and furniture including under cushions of upholstered furniture. Vacuum wood and tile floors with special attention to grooves and cracks. Pay special attention to wall/floor junctures and all areas frequented by pets. Seal vacuum bag in a plastic bag and dispose outside in a covered receptacle. Clean thoroughly all areas frequented by cats, i.e. table tops, window sills, etc. Wash or dispose of all pet bedding. Cover aquariums and turn off air pumps. Remove all pets during treatment. 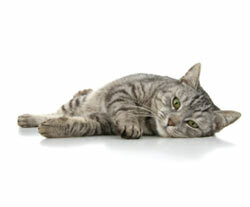 Do not let pets return home until after treatment dries. Recommend that pet be treated by a qualified veterinarian. Clean areas around dog houses and other outside areas where pets have access. Maximum effectiveness of treatment will be achieved if lawn is cut prior to treatment. You may see some fleas up to two weeks.